When in doubt, round your inspiration up and try to pretend you're ok. I'm trying to get stuck into my current portfolio but I'm really not feeling it. I'm struggling to get stuck in and keep designing, which isn't ideal when we're working to a deadline. 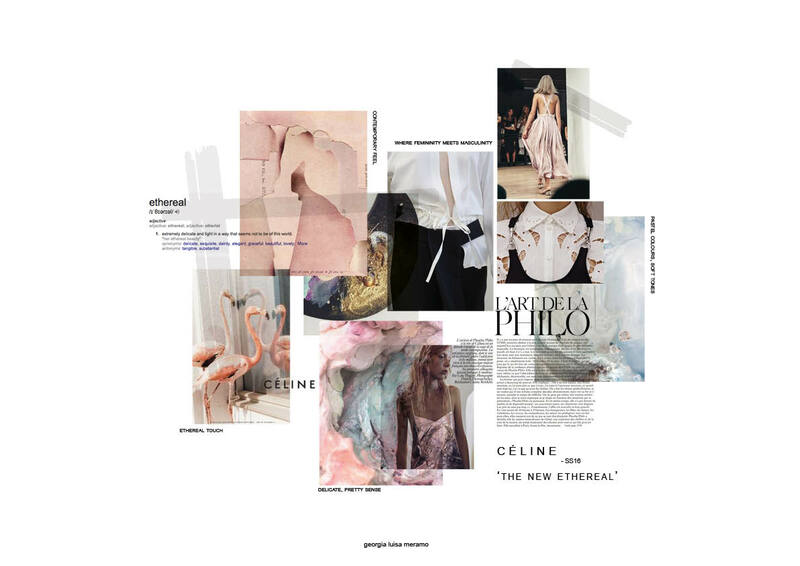 This month I've used my concept board for this terms project; I've been 'designing for' Céline, and pulling out blush tones and soft finishes. I'm designing for SS16, even though all I want to make is warm coats in heavy wools given this horrible weather, so it's tricky. I hand in during the first two weeks of January, so not long now! I'll be sure to share my final garments with you!